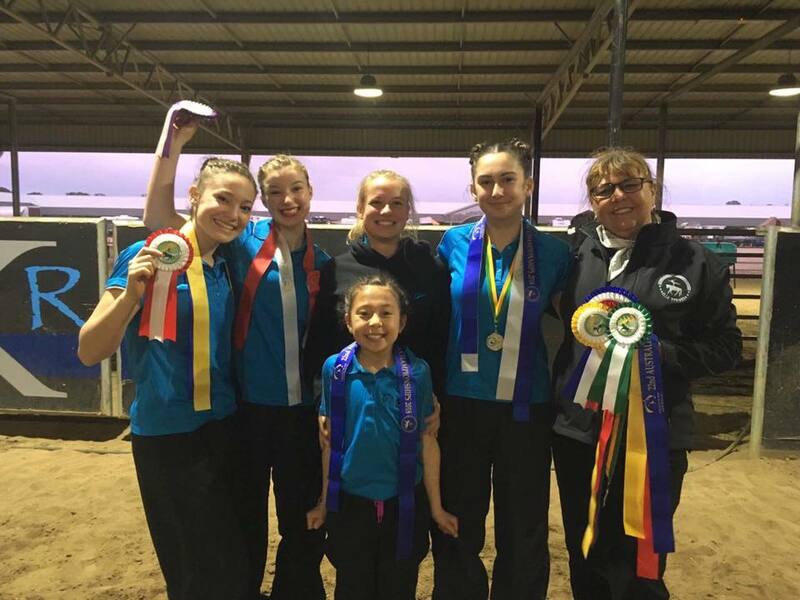 If you love horses, dance/gymnastics/performance, fitness, friendships and having fun then equestrian vaulting is for you! Vaulting is best described as gymnastics on the back of a moving horse which is worked on a circle, under the control of a lunger. It is a unique and growing sport here in New Zealand. 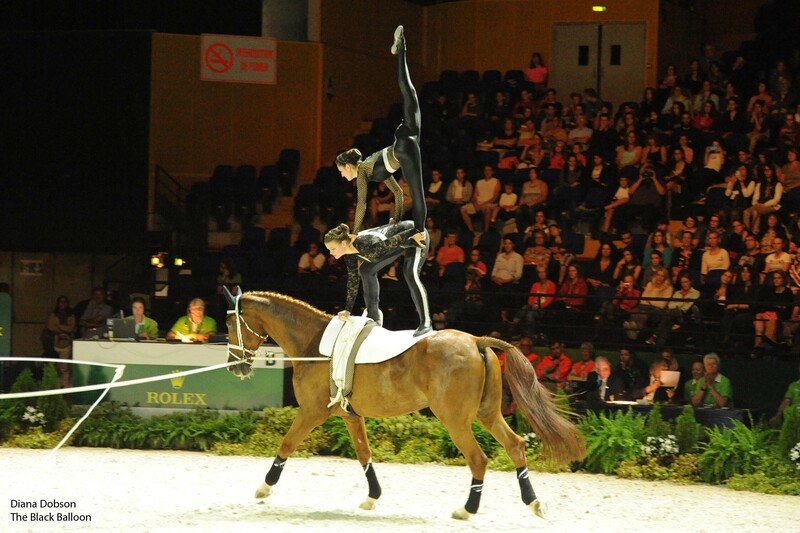 Vaulting combines beauty, power, strength, dance and gymnastics all in rhythm and harmony with the horse. 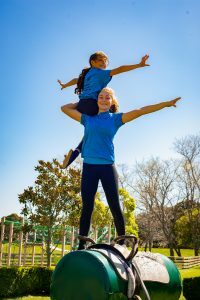 A wonderful way to develop coordination, balance, strength and creativity. Vaulting is an all-year sport, because we have a covered and outdoor arena for training with the horses (depending on the weather) along with specially built barrels (or practice horse) and other training equipment. In fact, barrel events are held at most competitions and are ideal for winter time when the weather is cold and wet. Anyone! 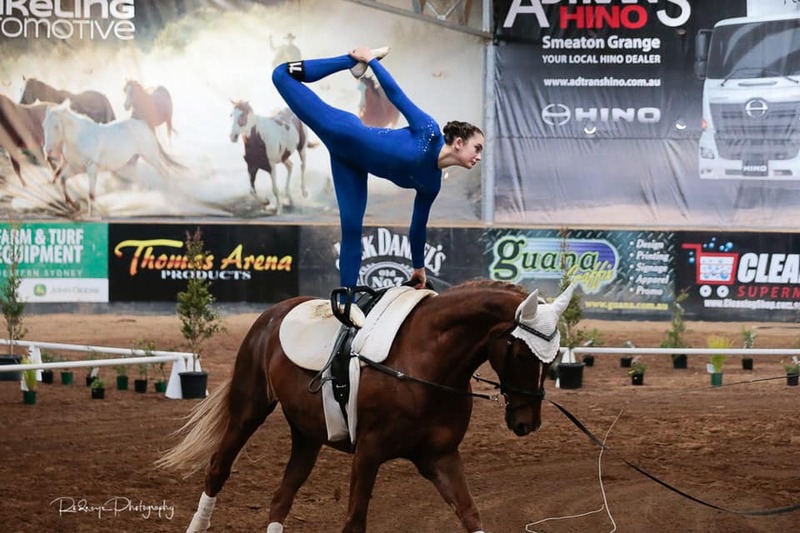 Vaulting programmes are not only for competitive teams but include recreational groups, pony clubs, riding clubs and are ideal as a therapeutic activity for those with disabilities. 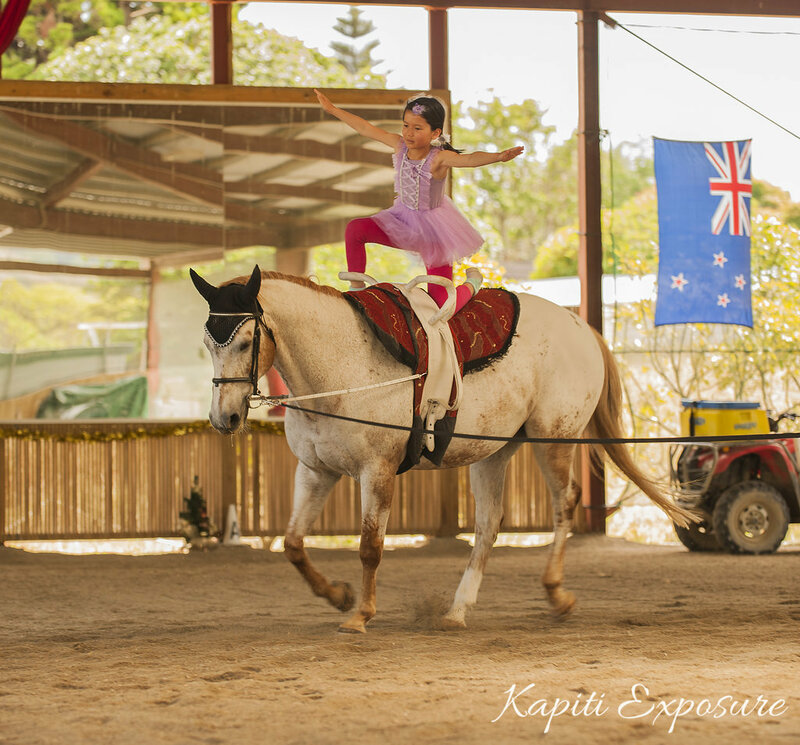 Internationally, vaulting is recognised as one of the best ways to introduce people to horse riding and equestrian sports. No! Vaulting is done in a very controlled environment. First, the moves are practiced on the ground, on the barrel, surrounded by mats. Then we build the relationship with the horse and others in the arena. The horse, trainer and vaulter/s work as a team, with the trainer controlling the horse on a lunge line. The horse moves at a constant walk, trot or canter, depending on the routine and the vaulter/s eventually perform gymnastic and dance moves to music on the horse. WHAT KIND OF HORSES ARE USED? Many breeds and sizes can be used, the best vaulting horses are calm, strong, fit and kind with a steady gait. DO HORSES LIKE TO VAULT? Our horses love to vault! They are given lots of love, respect and attention by their trainers and vaulters. No, that is one reason vaulting clubs have been formed. This sport enables those without the facility to own a horse to become totally involved. Team members join the club and their fees pay for tuition and helps maintain the horses, making it far more affordable than individual ownership. DO I NEED TO KNOW HOW TO RIDE A HORSE? No! 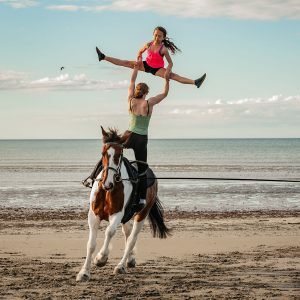 You don’t need to be able to ride a horse before you can start vaulting, but vaulting can greatly improve your riding skills if you are already a rider. AT WHAT AGE CAN I START VAULTING? One of the benefits of vaulting is that vaulters can be as young as pre-schoolers or adults or anywhere in between. Check out our Pony Gym for Pre-schoolers classes. IS IT A TEAM SPORT OR AN INDIVIDUAL SPORT? Both! Vaulters may participate as an individual, in pairs or as part of a team. In team competition up to three vaulters are on the horse at once literally supporting each other during their routines. IS IT A COMPETITIVE SPORT? 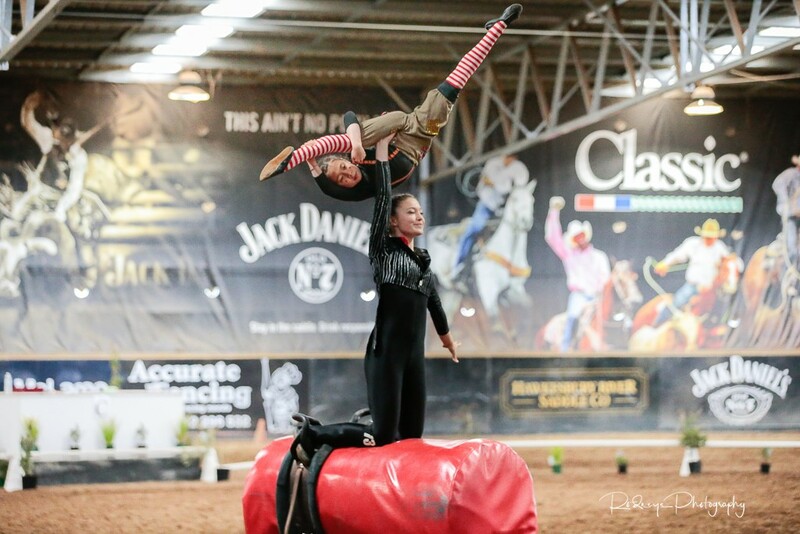 In New Zealand, there are only a few vaulting clubs, and from time to time we have friendly competitions and visits. Vaulting is quite popular in Europe, America and Australia, and every 3-4 years we try to organise a trip for our most competitive vaulters. We are proud to have taken the first New Zealand team to ever compete in the World Equestrian Games in France in 2014. 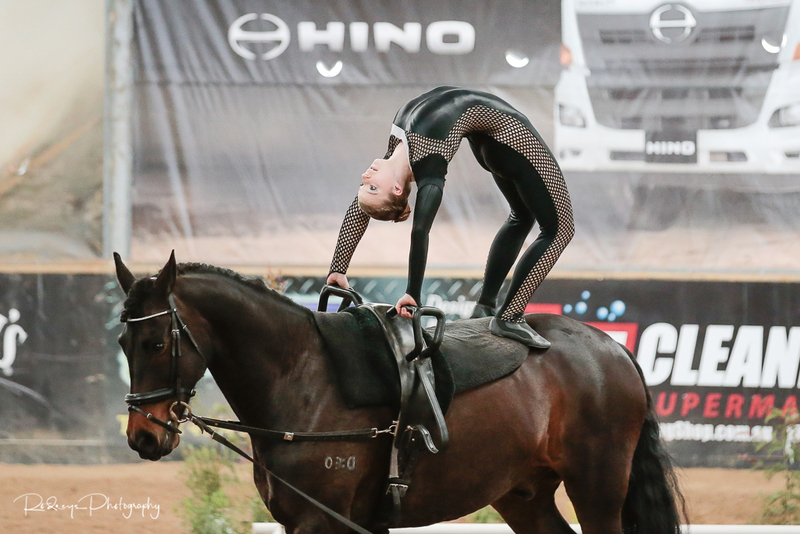 The team competed against well-seasoned equestrian vaulting teams, and proudly placed 9th in the world, in front of a live audience of over 34,000 people and broadcasted to millions worldwide. 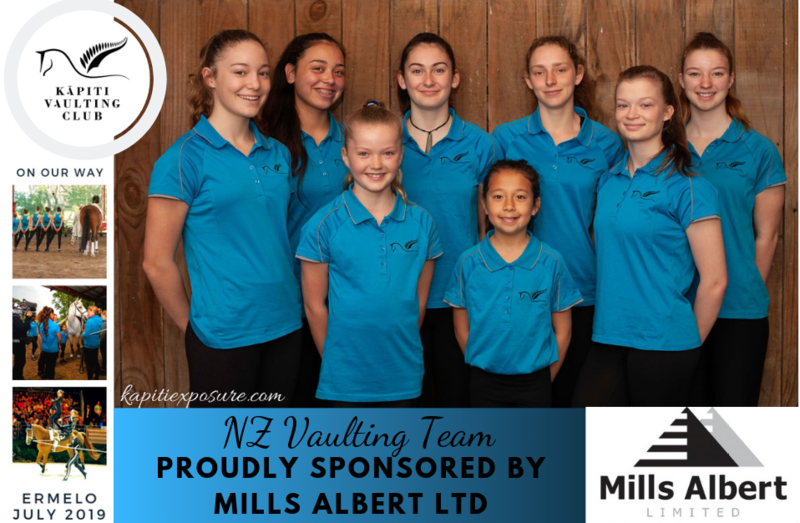 Watch an official FEI Equestrian Snapshot on the New Zealand Vaulting Team. BEING PART OF A VAULTING TEAM IS HUGE FUN!